build, distribute and measure display advertising at scale. We understand advertising in today’s fiercely competitive digital environment needs to be truly innovative, creative and personalised to resonate with audiences. Experience Bonzai and you'll be delighted! Easy drag and drop tool and interactive features from Bonzai help you design your display campaigns quickly and creatively, all without writing a single line of code. Bonzai's array of highly immersive and interactive features like gallery, add to calendar, lead gen, store locator, autoplay video, 360 degree, wipey etc. bring alive your display campaign. 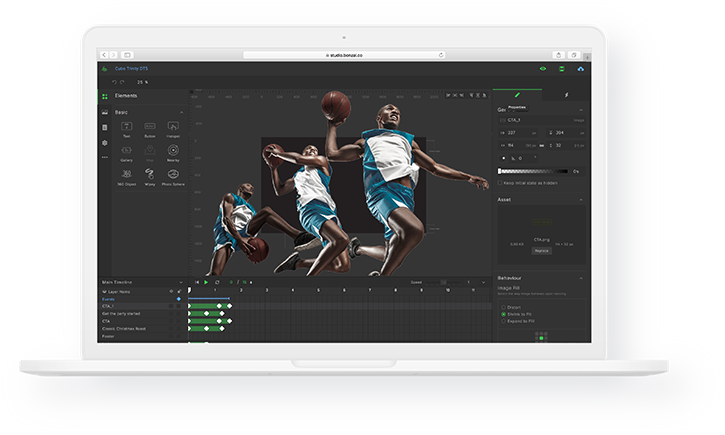 With this advanced animation tool, you can build complex animations in minutes. The key frame feature with finer nuanced animations gives you greater control over your creative. Your creatives can now easily adapt to different devices, screen-sizes and placements that include mobile, desktop and tablet. All this with just a few clicks. Bonzai enables you to organise, manage and view all your campaigns in one window, while assigning roles and responsibilities to team members working on your campaign. That way, you are on top of all your campaign executions all the time. With Bonzai’s Dynamic Creatives powered by Powerful Decision Engine along with Data Feed, you can personalise your campaigns to suit your audience segments based on signals like weather, location, time and more. It’s simple. Why restrict yourself to the same old static message when you can power your campaign with messaging that is dynamic and contextual. Our platform doesn't stop at building great display advertising creatives, you can go further and generate tags and flight your campaign across our range of premium publishers. We are certified and compatible with leading Publishers, DSPs and SSPs across the globe. Creatives built on Bonzai not only fit and scale across different web browsers, they also work seamlessly on various SDKs embedded inside a mobile application allowing you to reach wider audiences. Bonzai integrates cross-platform analytics tool MOAT and IAS, which measures campaign viewability to help you evaluate and optimise your campaign outcomes. All ad products from Bonzai are programmatic (PMP and PG) and direct-buy compatible. We are the first in Australia to launch high impact formats programmatically. Creative load times have a direct impact on driving engagements and achieving your campaign objectives. Our geo-distributed ad serving reduces last mile latency to provide better ad viewing experience for your end customers. Analytics in our platform are brand centric and go beyond 'CTRs'. It helps you understand what’s driving performance, and how you can optimise your campaign. 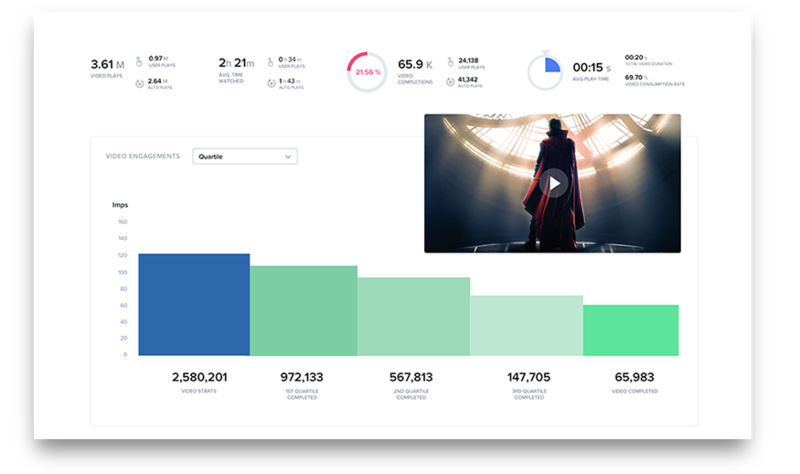 You can view the performance data across 3 levels: Brand, Campaign and Creative. Our reporting tracks each user engagement to help you evaluate and improve your campaign’s performance in near-real time. 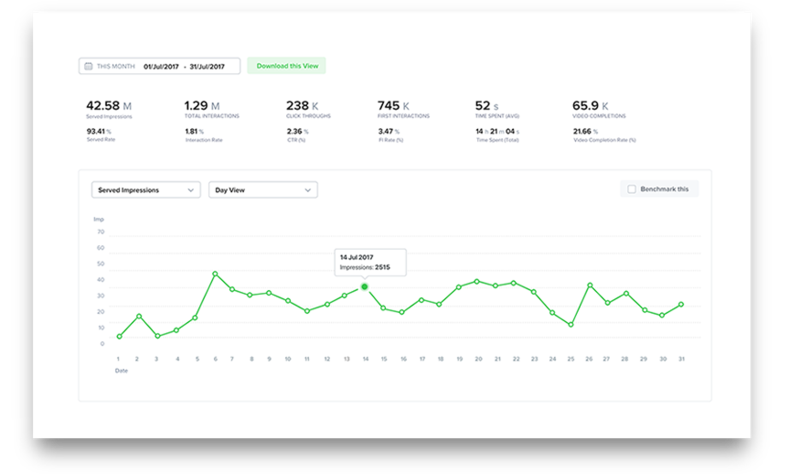 Our Standard metrics range from essential delivery metrics like served impressions and engagement metrics like user interactions, click-throughs to deeper analytics like which button was clicked, where has user spent maximum time, etc. Our video metrics like quartile views to video engagements like video clicks helps brands analyse their video strategies better. 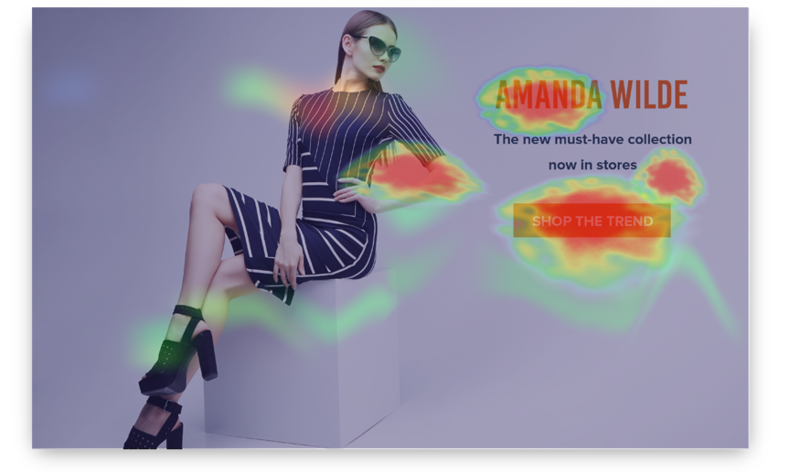 Heatmaps are a great way of analyzing data in a visual manner by using color to instantly convey information about the activity of users on your creative.